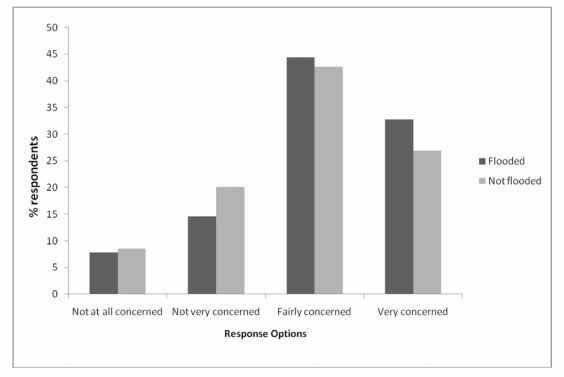 In the aftermath of Hurricane Sandy, it would be surprising if opinion polls, particularly in the US, don’t show an increase in concerns about climate change. But it would be a mistake for those worried about climate change to expect that increasingly frequent extreme weather like this will settle the case in public opinion for taking action. The relationship between disastrous weather and worries about climate change has been clearly demonstrated. In November 2000, when much of Britain flooded after the then wettest autumn on record, the storm was linked to climate change. Concern about the environment subsequently spiked in MORI’s issues index. The paper also showed that those who had experienced flooding saw climate change as less uncertain, and felt more confident that their actions would have an effect on climate change. So we might think that any doubts about the likelihood and impact of climate change will very soon be blown away by the increasing frequency of storms like Sandy, and other events like heatwaves and droughts. It’s a plausible – though grim – argument, yet I think it’s problematic on two levels. Firstly, disastrous weather can lead to increased concerns about climate change, but doesn’t necessarily do so. Seven years after the 2000 floods, Britain was inundated again. But this time there was no repeat of the spike in concern about the environment – perhaps because the start of the credit crunch meant attention was elsewhere. But there’s a more fundamental problem. According to the current predictions of 21st Century climate change, the warming trend will be quite gradual until about 2030, regardless of the levels of emissions. Even if we emit greenhouse gases at an unchecked rate, we should expect the rate of warming to be little faster for the next 20 years than it has been for the last 40 years. 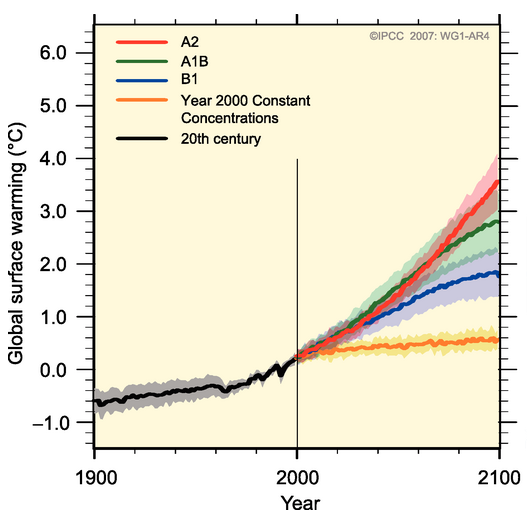 It’s only after then that warming really accelerates. This is nothing new to those familiar with the climate science. But in the debates about the causes of weather-related disasters, the finger is pointed at climate change. Some activists may hope that, for all the human tragedy of storms like Sandy, at least the world will no longer doubt that climate change is real and that it has to take action. I am sure it’s true that in the short term, concerns will heighten. But memories will fade, and projections suggest we shouldn’t expect the world to heat so dramatically in the next few years that disastrous weather will become common and the fingerprints of climate change will be unmistakable (assuming there’s a generally linear relationship between increased warming and increased likelihood of extreme weather, which is of course not certain). My take is that the debate is unlikely to be fundamentally changed by the weather of the next few years; arguments about what action is needed will still have to be won in other ways. This entry was posted on Saturday, November 3rd, 2012 at 13:00	and is filed under Climate Sock, U.S.. You can follow any responses to this entry through the RSS 2.0 feed. Both comments and pings are currently closed.